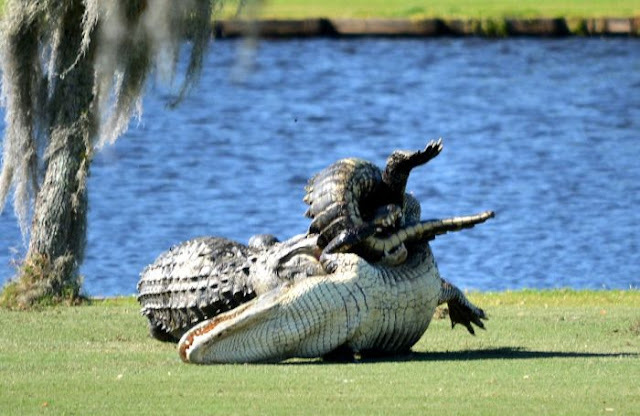 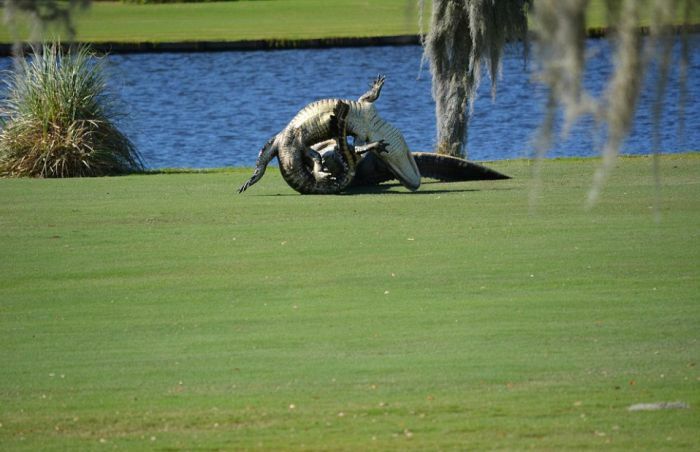 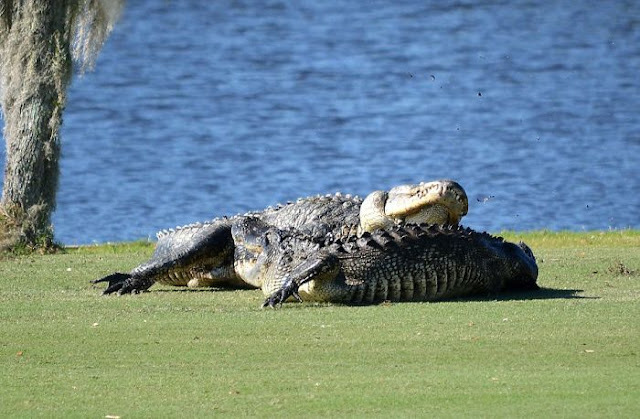 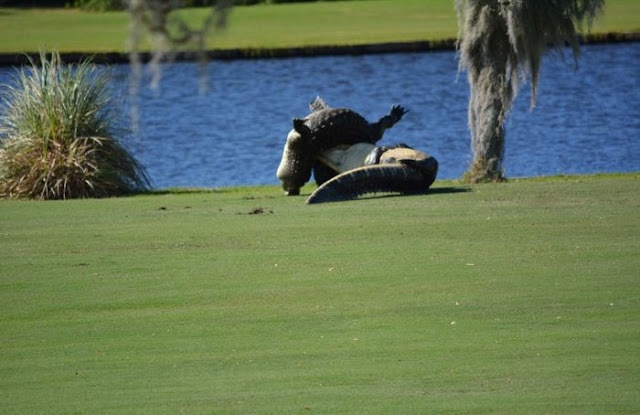 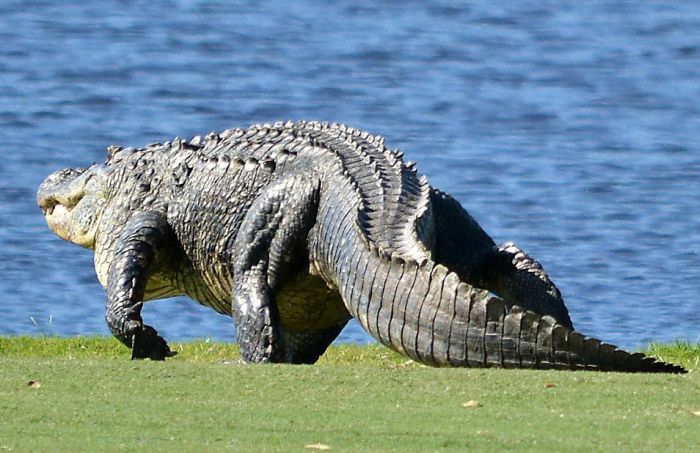 Two massive alligators recently got into a fight at Myakka Pines golf course in Englewood, Florida, on Saturday. 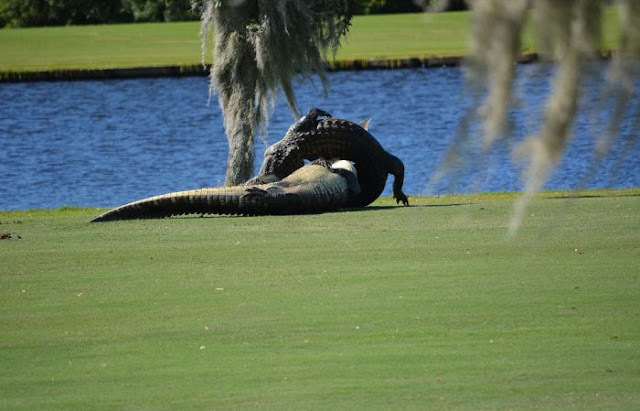 A 12 foot alligator named Goliath decided to attack a smaller 10 foot alligator that was trespassing on his turf. 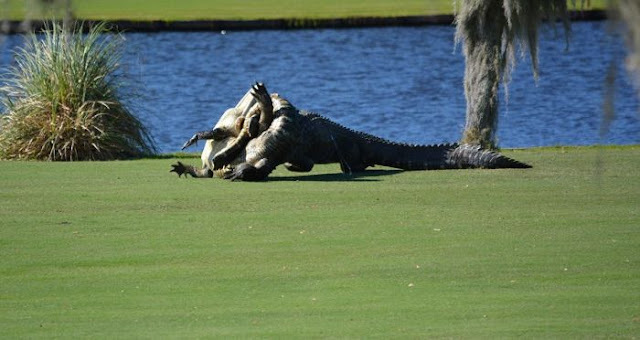 Golfers watched on in awe as the two battled like gladiators.